On Monday, we went to Salem, MA for a visit to the Peabody Essex Museum and the Natures Nation: American Art and the Environment exhibit (on view through May 2, 2019). Following along historical lines with an emphasis on how we humans have impacted the environment, curators offered works from various points in history combined with modern art. This is not a review of the exhibit. I am sharing a few works from the exhibit that I particularly enjoyed. 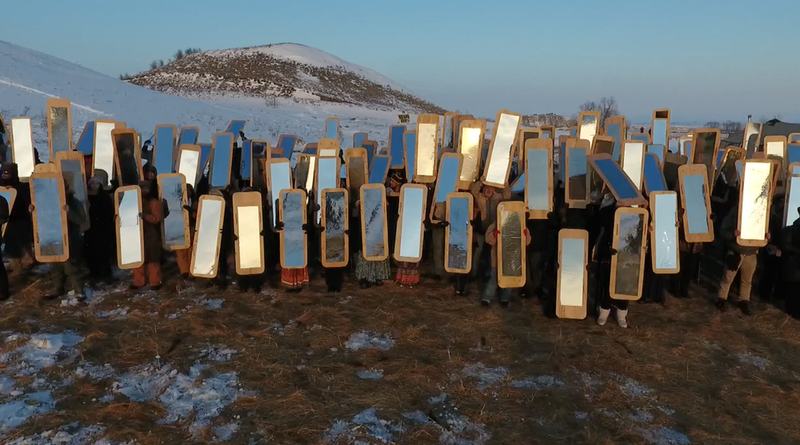 Another powerful piece, among many, was the video of “Mirror Shield Action 2016” from the protests at Standing Rock in 2016. Click on photo below or link above to see a video of this project. While there was much more to the exhibit, these video works really spoke to me and were something I wanted to share. I hope you will take some time to read through the links and view the videos. Even better, swing by PEM yourself before May to have a look!